I'm running a pool with all my students, and the winner will get a pair of movie tickets. 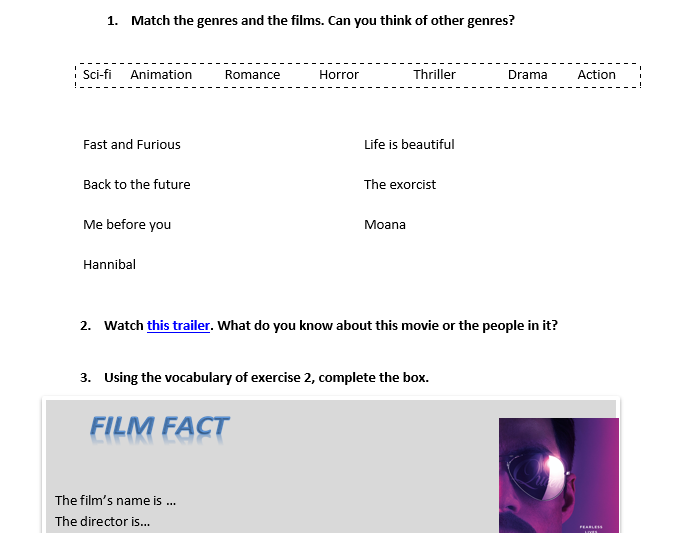 To introduce the topic, I prepared a class to work on movie vocabulary. The first task is about genres; then there's an activity with bohemian rhapsody trailer. Finally, students complete their boxes with information about 4 other Oscar's nominees by telling each other what's missing.